Want to work with us? We deliver high-quality content + photography to thousands of readers weekly on the blog and social media. Our audience is mostly women aged 25-35 interested in style, design, kids fashion & decor. We're all about staying current through the haze of motherhood. We'd love to hear from you. Reach us at: hello@lifemademodern.blog. Meet our kids. From left are Julia's kids: James (2) + Amelia (5) ; Natalie's kids: Mila (7) + Mateja (5). We're a tad bias, but aren't they an adorable bunch?! meet Julia (the brunette) + Natalie (the blonde). We're life made modern. 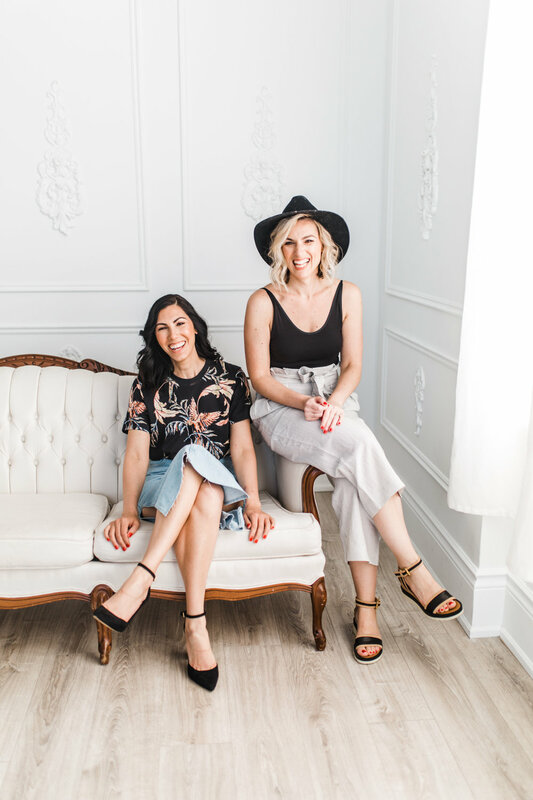 the toronto-based duo that's kid-friendly and big on style. Lovers of design, a great pair of shoes, and our mom jeans. An ex- pr + communications specialist from within the design industry, Julia is life made modern's content editor + writer. Natalie is a newborn, children's + family photographer. Naturally, she's our resident picture-taker and content-maker. As fenceless neighbours with four babes and two cats between us, LMM was born one hot summer day. As we sipped on iced coffee and watched our kids run through the sprinkler, the idea struck. And the rest is, as they say, history.